In today's progressive and fast-changing world, companies wish to stay ahead of their competitors, and it is possible when businesses have the right strategies, software, and systems in place. Custom software automates and streamlines every process and save a tremendous amount of cost and time to the organization while increasing the efficiency and productivity of the business. Custom Software Development Companies exhibit a broad range of knowledge in creating, implementing and deploying customized software, for clients. Finding a proficient software development firm is a difficult objective as there are many software development companies that promote themselves and create a market. Custom software development companies need to have top-class project execution methods, QA practices to develop the best in the quality custom software application that meets the necessary demands of the client. 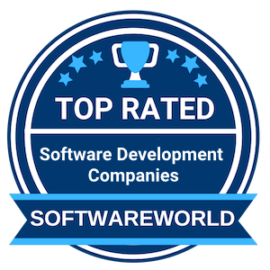 To ease the process of looking into the profiles of the many established custom software development companies and finding the right fit for you, SoftwareWorld brings you the list of top software development companies that fulfill all the essential needs of yours. This list will serve you in finding the best custom software development firms with the help of client reviews, testimonials, review of past works, etc. What are the best custom software development companies? 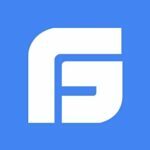 About Fingent : Fingent Corporation is a Global IT custom software development company that creates business solutions facilitating successful business endeavors. They have pioneered custom software that works as the central components in building flourishing businesses of their clients. They help solve business challenges through software and understand each problem of clients. With vast technologies and industry expertise, this software developer partners with clients to deliver advanced business solutions quickly and on budget. About Spire Digital : Spire Digital is a custom software development firm that modifies business through design and technology. It is a pioneer in providing imperative consulting, software development, DevOps, and user experience design. It offers innovation in each business solution it creates for the clients. From understanding all aspects of the client’s requirements to creating a suitable solution, it helps in providing an increase in revenue, operational efficiency, market share, and customer satisfaction. About Merixstudio : Merixstudio is one of the best software development service providers in Poland and provides its clients with numerous digital products and services, from custom software development, web development to UX/UI design. With a full-stack agile team available to plan, design and develop web applications and digital products, collaborates with international firms like Toshiba, HSBC, Virgin, etc., to bring their ideas to life with its skilled specialists. About Orases : ORASES offers creative software development services that believe in helping clients through technology and design; from looking into the requirements of the companies to creating products that impact and aligns the client’s business and growth. This agency focuses on high-end custom designs and builds impressive and innovative products for its client, keeping in mind their budget and essential requirement. Its expertise is in developing sophisticated software that integrates with other software solutions. 5. Atomic Object – The right software can change everything. About Atomic Object : Atomic Object develops custom applications for web, mobile, desktop, and devices for companies. It is a custom software development service provider that helps companies innovate and grow with products created by it. The products are reliable and easy to use while serving the purpose of the client. They help companies innovate and improve efficiency with custom software products that are beautiful, secure, and user-friendly while offering the best quality on a budget. About Praxent : Praxent is one of the best software developers that has launched over 300 digital products, generating better efficiency and productivity for its client with a core competency for tomorrow’s market leaders. With research-backed UX design, incremental testing, user validation and, agile development to inform and accelerate the client’s digital roadmaps, it helps in creating new websites, web-apps, integrated software solutions, etc. It has served global companies such as Cisco and others. About Table XI : Table XI is a trusted UX software and design company that creates custom software for its clients. With over 15 years of expertise in building websites, mobile apps, custom digital experiences, etc., it helps clients create a brand story while driving their business growth and efficiency. 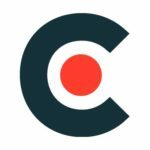 Headquartered in Chicago, this software development company has over 45 meticulous and curious minds that look into research, development, and creation of innovative solutions. About Intellectsoft : Intellectsoft is a custom software development company, headquartered in Palo Alto, California; from providing cutting edge engineering solutions for global and Fortune 500 companies to helping companies expedite the adoption of new technologies. It understands complex issues and creates software based on solving the problems of the clients. With cognitive computing, decentralized application, Internet of things, mixed reality and customer experience, it fulfills the demand for building a perfect software solution. About ScienceSoft : ScienceSoft is a custom software development firm and IT consulting company with recognition from top companies such as IBM, Magento, Oracle, Walmart, Nestle, etc. It creates desired software solutions and provides expertise in software development, mobile apps, web apps, websites, etc. It provides services to the banking, retail, healthcare, manufacturing, telecommunication, entertainment and other industries with over 29 years of experience till date. About 10Pearls : 10Pearls builds profound experiences that help businesses grow and creates business solutions by designing, developing and deploying. It makes web apps, mobile apps, websites, and helps companies scale and differentiate through product innovation. With recognition from Gartner, Forrester, the Washington Post, and other top companies as a leading provider of custom software development and end-to-end digital services with a unique agile approach with a deep understanding of requirements. About DCSL Software : DCSL Software is one of the finest and the UK’s most trusted software development firm; dedicated to helping clients create custom business solutions as well as products and apps. It is a certified Microsoft Gold Partner, ISO 9001/27001 accredited firm. It utilizes the proven software development processes to deliver projects in areas like business apps, mobile apps, web apps, CRM systems, etc. About Door3 : Door3 is a digital consultancy that offers custom software development to its clients. Headquartered in New York City, it has a global team of talented and highly-skilled professionals that look into all the requirements and aspects of the custom software for the clients. With insight-driven strategy, potential design practices, and hyper-competent software skills, it has clients such as Morgan Stanley, HP, AIG, and others. About Django Stars : Django Stars provide software development and digital transformation work for their clients. It is one of the pioneers in the custom software development services and is a technical partner for many global companies. They are expert in web development, mobile app development, crypto/blockchain technology, data science, UI/UX design, DevOps and quality assurance. From startups to well-established businesses, it offers solutions that increase the efficiency, productivity, and growth of the client. About SimbirSoft : SimbirSoft is known for its world-class, unique software products and services for its clients. From developing custom software, complex web services, mobile apps and client-server systems to providing quality assurance services, this company consists of experienced professionals that solve complex work with ease. They offer reliable products that are entirely for their clients with innovation and state of the art designs. About iTechArt : iTechArt is one of the most excellent custom software development companies and provides scalable products and services that meet client requirements as well as are highly innovative. It is one of the fastest growing tech companies with over 1300 experienced professionals. From web apps, mobile apps to quality assurance, DevOps, big data, etc., it works for the client and has over 200 active clients. About Itransition : Itransition is a global software development firm that delivers software consulting and development services to its clients. With over 1500 highly skilled computer professionals, this agency is one of the best in the market for building web apps, mobile apps, DevOps, and quality assurance. With strong technical skills and business knowledge of the professionals working, it provides to the point software with state of the art design and functionality. About SoftwareMill : SoftwareMill develops customized IT systems for its clients and specializes in Java, Scala, Akka, big data, Spark, TensorFlow, etc. It provides in-depth services and products in the blockchain, business intelligence, and machine learning. From delivering software that matters to the client to building quality systems, it offers clients discover their real needs out of the software. It is a select system integrator of Lightbend and a consulting partner of Confluent and DataStax. About Ciklum : Ciklum is a custom software development company that delivers its clients, products and services based on their needs. It is a fast-growing organization that offers services in product development, app development, IoT, big data, etc. With over 3000 skilled professionals, it is one of the best development firms globally and includes quality assurance and consulting professionals. It helps its client grow faster and have better efficiency. About Belatrix Software : Belatrix Software is a custom software development firm that develops high-quality, innovative software, and mobile solutions for its clients. With Agile technology and design thinking approach, it offers its clients access to global talent, applied innovation and best practices with state of the art finished product and services. It serves clients globally and has a list of Fortune companies and emerging startups to add to its client list. About Moove It : Moove It is a custom software consulting firm that designs, develops, and deploys custom software solutions for organizations that want to make an impact through technology. It provides partnerships that help developers and clients work collaboratively to build superior digital experiences. From building web apps to mobile apps, Moove It also offers product consulting and quality assurance to its clients. It works for clients in finance, education, healthcare, IoT and technology. About DockYard : DockYard is a custom software development company that offers exceptional user experience, design and engineering of software and services. With brands such as Netflix, Apple, Zipcar, Nasdaq, etc., as its clients, it is one of the finest development firms globally. It helps in providing smart, flexible, relatable, and reliable software products for its clients. It also offers quality assurance, testing, management, and training to its clients. » Mobile App Development Companies in United States - With the leap of the smartphone industry, we have seen a surge in the growth of mobile app development companies in the United States. From building product related apps to games and services, the plunge of apps in the current market is increasing at a rapid rate. » Mobile App Development Companies Ukraine - Looking to hire from the top mobile app development companies in Ukraine? Why and how, can you resolve the trouble of finding one? Mobile app development market is rapidly growing in Ukraine.